New corner joints had to be moulded in “Impact resistant Nylon” and new corner covers in “UV Nylon 6” together with Spring Steel fixing clips all had to be colored to match the new “Anthracite” frame unfortunately it does not stop there as all the components that are used in the manufacture of the Pleated blinds also had to be colour coded to match the new frame colour. We are extremely pleased to say that all this work is now completed and has been launched as an option for you to choose, we have also re-introduced the Silver option as this has shown an increase in popularity. 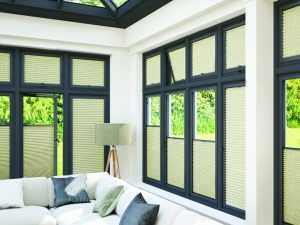 All frame colours are suitable for Perfect Fit Pleated Blinds and Perfect Fit Venetian Blinds. 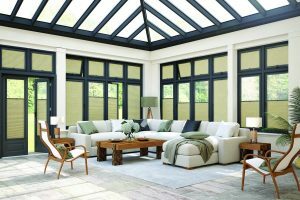 The Perfect Fit blind system is inherently “Child Safe” by design so is suitable for any room in your home. The best blind system just got BETTER. Click to take a look at our 16mm Venetian collection.